An IP address stands for Internet Protocol and is the number assigned to a network equipped piece of hardware by which other devices identify it. You should never confuse an IP address with the URL of a website. IP addresses are different for different websites.These IP addresses can even be hacked and that is why you must try to make your IP as secure as possible in order to prevent it from getting tracked.Your IP address reveals your point of entry to the Internet and can be used in many ways to cause your online activities many, many problems. It may not reveal you by name, but it may be uniquely identifiable and it represents your digital ID while you are online (especially so if you’re on a fixed IP / DSL etc). “Tracing” an IP address would require you to use a 3rd party site, as Facebook doesn’t allow you to view any IP addresses other than the ones used when accessing your own account. So, users such as Tom Voltaire Okwalinga cannot be traced on Facebook that way. But this can be done mainly through charts. So, avoid charting with someone you are suspicious of or someone you don’t know very well. As long as you have not revealed your location in ‘settings’, none of the users knows your location.Obviously, Facebook knows your location. The only time it is acceptable for an IP to be obtained through Facebook is when it is requested by law enforcement, and only the law enforcement representative will be provided with the information, which they may use as they deem necessary in an investigation. But again as has been proved in British courts of law: obtaining the required legal order to force an ISP to identify a customer from an IP address isn’t difficult, but proving beyond reasonable doubt that it was the same customer breaking the law certainly is. You also have the option of changing the IP address of your internet connection by contacting your service provider, as they’re the ones who exert control over this. Do this if you think that someone is on to you! Its as easy as eating ice-cream. Another thing that can secure your IP address is if you do not allow cookies in your computer, as cookies are something that can be used to track a computer. So for this purpose, you need to go to your browser settings and turn off the cookies option, or delete them once you are done browsing or surfing the internet. The problem is that Facebook wont allow you to access their site, because its through cookies and other software that Facebook gets to know everything you have been doing while online. ”………I have to also say that Africa’s democratic progress is also at risk when leaders refuse to step aside when their terms end. (Applause.) Now, let me be honest with you — I do not understand this. (Laughter.) I am in my second term. It has been an extraordinary privilege for me to serve as President of the United States. I cannot imagine a greater honor or a more interesting job. I love my work. But under our Constitution, I cannot run again. (Laughter and applause.) I can’t run again. I actually think I’m a pretty good President — I think if I ran I could win. (Laughter and applause.) But I can’t. You look at Nelson Mandela — Madiba, like George Washington, forged a lasting legacy not only because of what they did in office, but because they were willing to leave office and transfer power peacefully. (Applause.) And just as the African Union has condemned coups and illegitimate transfers of power, the AU’s authority and strong voice can also help the people of Africa ensure that their leaders abide by term limits and their constitutions. (Applause.) Nobody should be president for life. Do American Presidents operate in Africa based on their kinship impulses and/or personal inclinations, or do so within constructive frameworks of national foreign policies? We have said enough about the depredations of slavery, colonialism, neocolonialism, dependency, globalization, etc. From my considered opinion, it is about time Africans do things for themselves and stop day-dreaming that American Presidents, etc. are divinely mandated to help Africans. Come to Museveni’s Uganda and see the opulent and thievery lifestyle of the people I call educated pen-armed robbers and you would be ashamed of them, not Obama. Did Obama tell Frank Tumwebaze to steal shs.10b and deposit it on his account? Did Ugandans do anything about it or they let it pass? The masses have been benighted and marginalized by the pen-armed robbers, the latter bloated in Mercedes, BMWs, etc. and puffing in palaces purchased with stolen wealth. Paradoxically, in this day and age, we have pupils who go to school under trees. Our hospitals are dilapidated. Our roads are death-traps! Come to the streets of Jinja and Kampala and you would encounter some millions of hungry-looking school-going age kids peddling all sorts of made-in-China items. What are our politicians, aka pen-armed robbers, doing? Yes, filling their pot-bellied banks with cocoa, oil, diamond, timber, bauxite, etc. money. Yes, stealing and leading the good life. Don’t get me wrong here. Hard work and consequent riches are ok, but not when whole systems are at the mercy of pen-armed robbers. Ironically, the benighted masses adore and worship such big wo/manism syndrome. My dear friends, let us ask new questions and stop talking about being ashamed of Obama! We should be ashamed of ourselves for not training our guns on our political elites aka pen-armed robbers and casino-ed academics with bogus PhDs parading in the corridors of corrupted power. It seems that there has been an over-reaction to Novelist Annelie Botes’ statement that she dislikes black people. She committed a contemporary cultural sin of saying what she really thinks in a multi-racial and multi-ethnic world in which millions of people, within and across nations, most probably share that same thought about members of another racial or ethnic group, might voice that same thought around family dinner tables or within bear parlors, but have learned to be politically correct in public–that is, not to voice their racial or ethnic prejudice/dislikes publicly. Why work hard if no work pays as well or even better? Education, especially college-level education, used to be the key to a “good and happy” life. It is not clear that it still is, not in the same measure. The hope must be that the day does not come when a deep and abiding love for academic knowledge, possession of possibly blind faith, and great courage constitute the milieu for seeking tertiary level education in Uganda. Why bother to be college-level educated when with an even unproven claim of secondary-level education, one may join a political party, get appointed or elected to a political office, and the one’s days of financial and other material troubles may be over on the one hand, and their days of influence and power begin. It is looking more like what anyone seeking personal material success needs to do to have and enjoy the “good” life in Uganda, is less education and more friends, connections, and guile. The youth want to be like Ham Kiggundu and Jose Chameleon. Or get rich quickly through corruption like Sam Kutesa, Salim Saleh, Tumwebaze, the Museveni family, and so many others. They see ‘studying’ as a futile and onerous journey. Beginning journalism students are usually taught that a classic test of what constitutes a news item is as follows. When a dog bites a man, it’s not considered newsworthy because it’s common for dogs to bite human beings, but when a man bites a dog, a news event has occurred. For me, a news report that yet another Ugandan MP, who the media branded a ‘rebel’, has publicly announced or divulged his support for the sole candidature is no news. I’m merely surprised that some of us seemed surprised about it. Ssekibubo’s father was a friend of Museveni’s father as he used to be Amos Kaguta’s doctor. Ssekikubo himself got his first job in State House because of his father’s friendship with Museveni. It is also rumoured that Ssekikubo has got Rwandese blood in him which explains his facial features. 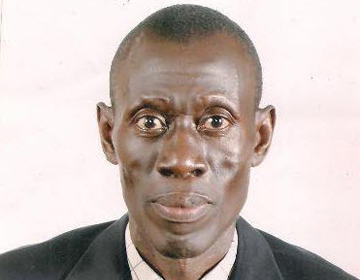 The next rebel MP likely to publicly come out and admit his support for Museveni is Nsereko Muhammad. The Mutumbas have always been NRMs and top beneficiaries of the state. So, wait for Muhammad Nsereko too to publicly support the sole candidate. A lot of people are pretending to be opposing Museveni, and there are many! A police force should be protecting us but its not , and I dont know why Ugandans are still cooperating with on various issues.The Police cannot continue to lord it over the public if they are not perceived to work for them. The people’s reaction to stop cooperating with them is warranted: it may be extreme, but it will be a protest against government’s irresponsibility. Firefighters should also be chased from accident scenes when they arrive too late. For me, it will be refreshing to see Ugandans showing greater boldness in demanding their rights. As a nation, we are too timid. How the Police view themselves is crucial. So, the change of paradigm from force to service is required. Is the idea that the Police organisation is not effective/efficient because of lack of resources valid? It is true that when you go to the Police stations you find them in varying states of dilapidation, if you go to ICT crime departments you find them with no working computers, etc., etc. But is this situation real or manufactured? Could the Police leadership do something about that if they wanted to? TANZANIA’S CCM OFFERS SOME LESSONS TO DICTATORIAL NRM AND DA??? I believe in what is called plural democracy. But I also think some politicians are wise/smart enough to know when to leave/form coalitions and when not to – they surely know the effects of choosing to be in the losing end/side. Mwandosya was number 3 in 2005. He got seriously sick and lost his political momentum between 2010 and 2015. If you have noticed, the top 5 that the CC sent to NEC did not include most of the sickly and all the 65+ oldies: Sitta, Mwandosya, Wassira et al., a trend I believe will continue in Magufuli’s cabinet. In this context one cannot imagine Mwandosya being aggrieved let alone upset in the Lowassa’s sense. So, why should he want to go out and join/form CCM-B so he can get embarrassed by losing big time to CCM? Or why go join UKAWA that is not even thinking of him as a potential candidate? Isn’t it better to accept defeat and work within his party to secure peaceful retirement? Normally one would go out as a follower of a real big candidate, let’s say the then Lowassa, or as a real big candidate himself/herself. Mwandosya is not a big candidate now. Unless of course, ACT takes/invites him and make him such! Let me also remind politicians in Uganda that fighting NRM is not an easy work. Changing a 30 year old party like NRM hegemony requires a joint movement. The formation of the Democratic Alliance[DA] was a good step, and if Mbabazi proves to be stronger than Besigye, let him head it and fight his friend, Museveni. Political alliances have many objectives including the one of fighting the monopoly of independence political parties. Some other alliances are also intended to help form a coalition government after the elections. It is also quite possible for parties to form alliances for the purpose of defeating a bill or motion brought before the House by the ruling party. We have seen how the formation of UKAWA (The Coalition of Defenders’ of People’s Constitution) became powerful in defending the people’s driven constitution and blocking several proposed bills in the parliament of Tanzania. Let us see things with rational comprehensive approaches to help our people. LUBWAMA IS A TYPICAL CASE OF WHY JOURNALISM DOESNT PAY UP IN UGANDA UNLESS YOU’RE CORRUPT! Lubwama Siraje was born on February 18, 1965, to the late Sadik Kisitu and Sauda Namuddu Kisitu. He joined the field of journalism in 1993. In 2002, Siraje attended a short investigation course at Missouri University, U.S.A., and majored in political, human rights and crime reporting. I don’t know if he is a member of UAH or not.Abbey Semuwemba should tell us! He has been a journalist for 22 years and is the case study of why journalism doesnt pay off. He is now 50 years old but he is still an investigative journalist, and It is believed that without his job, he cannot survive on anything else. His case shows exposes the poverty among our journalists, and its the reason why some like Ahmed Katerega and Semujju Nganda, have opted to join politics. Lubwama Siraje’s interest in journalism was first sparked at age 28 when he began working for The Shariat newsletter. Just three years later, he entered the Uganda Institute for Business and Journalism Institute to complete his diploma in journalism. Consequently, he worked for several prominent publishers, including The Assalaam Newsletter, the Njuba Times, the Daily Monitor, and The Observer Tri-Weekly, securing positions along the way that elevated him from reporter to senior court reporter. His was at the Daily Monitor for 12 years. His focus has been on politics, human rights and crime reporting – in particular, the war between the Democratic Republic of Congo in Bunia, Beni and Bardorite. He is also a regular talk-show host on various stations including the government-owned Star FM, Top Radio and Simba FM. He was once arrested in the Democratic Republic of Congo and charged with writing that the late Jonas Savimbi was in Kampala, a case that the police did not allow him to pursue. In 2009, after the government denied Kabaka (Buganda King) Ronald Muwenda Mutebi II, he was charged with sedition for annoying the president. He was granted bail, and after some months, the case was dismissed after some of his fellow journalists led by Andrew Mwenda(now NRM) challenged the sedition law, and the Constitutional Court nullified this crime. Sedition was erased from the Penal Code Act. on March 28, 2012, while covering the leader of the opposition Forum for Democratic Change (FDC), Sirajje was beaten by Kampala Metropolitan Traffic boss Lawrence Niwabwine, who later ordered his subordinates to arrest him. These junior police officers beat him, and stole one of his mobile phones and Shs 150,000. He has since filed a civil case against the police officer and the attorney general. Last week, Sirajje took a selfie with Sarah Kagingo and the Lord Mayor Erias Lukwago, but he was shown to be hiding at the back, instead of being at the front, yet he is a senior to all the people in the picture. It’s a typical case of lack of confidence in a person. Unless some decides to become as corrupt as Andrew Mwenda did, you cannot make money in journalism. Most of the journalists in Uganda are now either in the pockets of Amama Mbabazi or Museveni alongside their little salaries. The truth has only been left to the social media groups but our newspapers and radios are all now unfortunately corrupt!